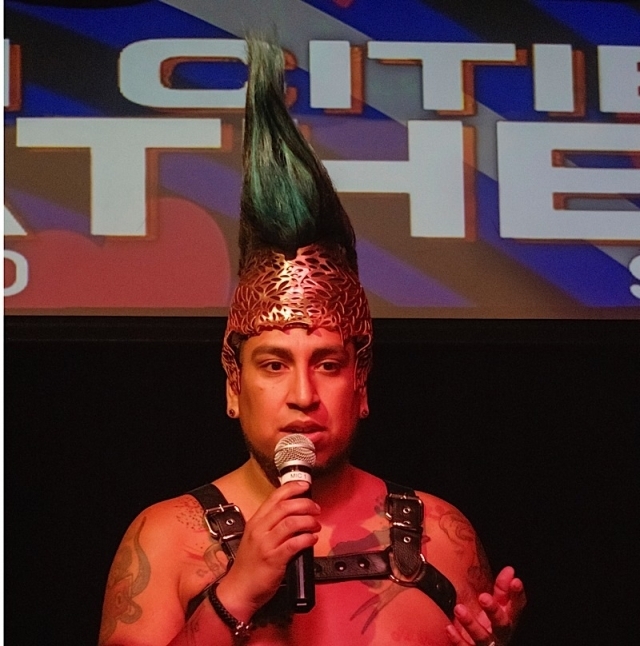 Hawk; The Urban Mayan; Kurt Patton, Mr. Twin Cities Leather 2019; Ash; and Blake Hunter. Photo by Steve Lenius. 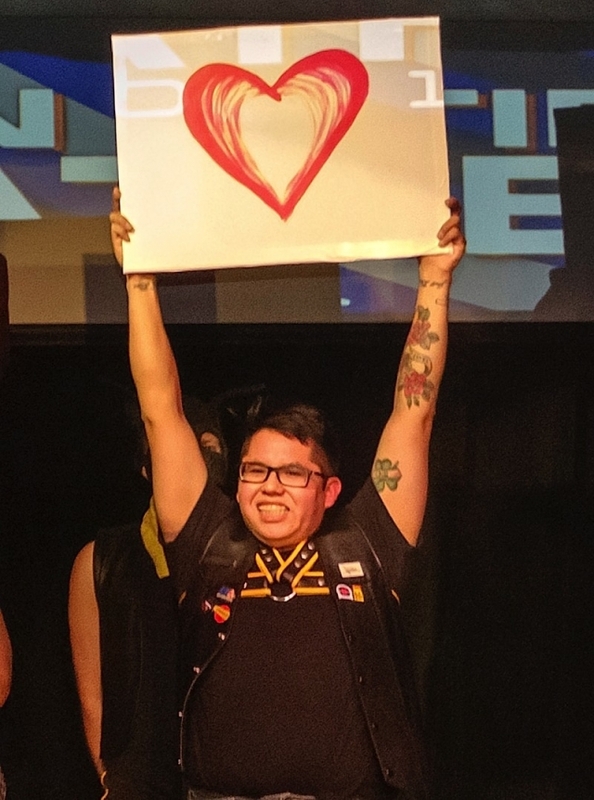 Kurt Patton became Minnesota’s newest leather titleholder during the Mr. Twin Cities Leather (TCL) 2019 competition on Saturday, Feb. 16 at The Saloon. Then, at Sunday’s Victory Brunch (also at The Saloon), Jude Stanek was presented with this year’s Robert “Bobbie” Smith Community First! Award. The weekend was sponsored by Twin Cities Leather & Latte, The Saloon, and The Nicollet Diner. Lavender Magazine was the media sponsor. 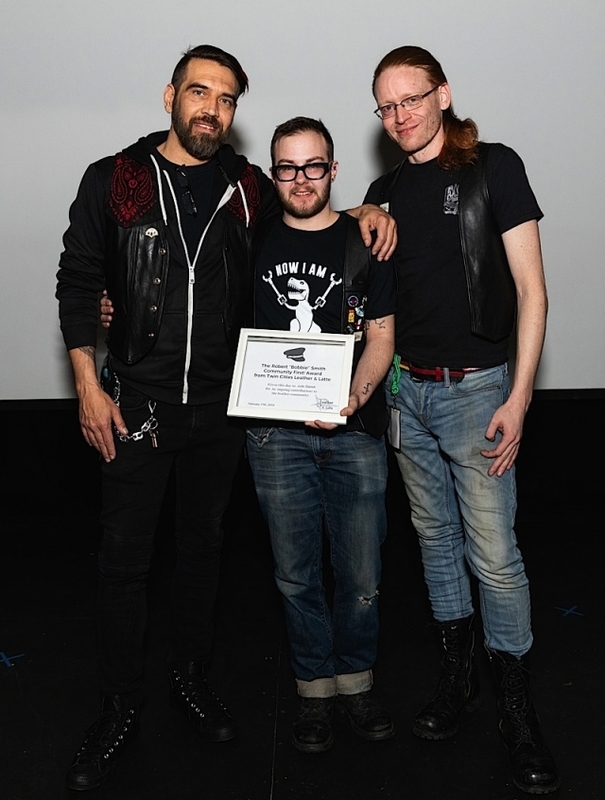 As Mr. Twin Cities Leather 2019, Patton will represent Twin Cities Leather & Latte and Minnesota’s leather community in the 41st annual International Mr. Leather competition (www.imrl.com), May 23–27, 2019 (Memorial Day weekend), in Chicago. Although the contest judges could only select one new titleholder, all of the contestants represented themselves proudly, especially during the speech segment of the competition. Their words from the stage were authentic, inspiring, and powerful. Here are some excerpts from the evening’s speeches. Jude Stanek, center, recipient of this year’s Robert “Bobbie” Smith Community First! Award, with Twin Cities Leather & Latte co-owners Karri Plowman, left, and Tynan Fox, right. Photo by Andrew Bertke.